In my opinion these are the greatest US sitcoms. Of all the sitcom watching I done over the years, I have finally decided what I think are the ones I enjoy the most. This sitcom is probably the most fun, great identifiable characters, great plots, great dialogue, a great theme and title sequence. Not to mention the greatest physical comedy ever! 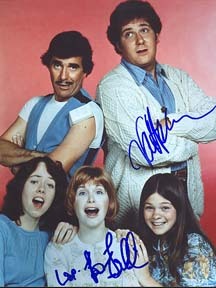 I used to look forward to it everyday on TBS in the 80's after school and I would be sad when it was over. A very important show. If you watch the E True Hollywood story on this show, you'll see how the actors and creators hate the series. They claim the wrong focus was put on the show by making J.J. the star, that they should have not killed off the father, that they shouldn't have been poor, etc... But I'll say this in defense. No other show made white America take notice of the state in which some blacks have to live in this country. This show opened my eyes to a different social experience. This show is an education for all of America. True there is a little too much J.J. at times later on, but the first series stands up as a classic today. The acting is superb. Great plots, funky original dialogue and characters. Archie Bunker is probably the greatest and most fully realized sitcom character in history. At the same time he is the most controversial. Most people don't realize today how bizarre a show All in the Family was in 1971. It was like an educational film. How they got away with the bigoted language spoken at that time is amazing. The show even had a warning at the beginning, you'll see it in the anniversary special and E Story. Based on a British sitcom. Not the last one on the list like that as you'll see. A fabulous long lasting series. 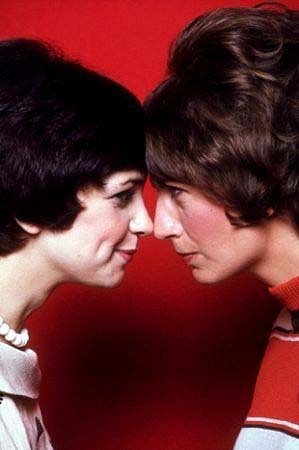 Started off with Ann Romano coping with being a single mother. The way this show dealt with the related issues was as educating as Good Times. The acting is high class, the show almost has that "stage" feel at times. You can really feel what the characters are going through. Set new ground in sexual content. Early shows were so hot that the audience screamed "WOO!" at every line. There is an energy and edginess to the first few seasons that has never been matched. Coming under intense criticism for its "light" subject matter, the show never failed to entertain, and sometimes that's all there is to it. This show gets better with age. It wasn't that popular when it was on, but time has shown how great the plots and characters were. Another important show in the subject matter. Dealt with a woman living on her own and having an important job, something that just wasn't shown on Tv at the time. Reflective of the social changing times. Classic plots, characters, and dialog made this show what it is. Another show dealing with a single mother. 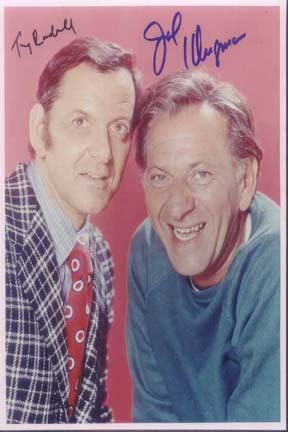 Both were shows on CBS. Where Ann Romano worked her base was her apartment. While on Alice the base was the workplace. At the diner, Alice had many characters to contend with, some of them like Flo and Mel are classic Tv characters. 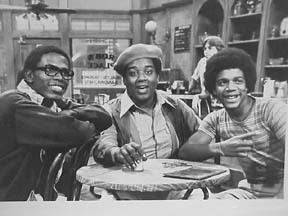 Ernest Thomas, Fred Berry, and Heywood Nelson. For pure laughs and sitcoms enjoyment, go not further than What's Happening. Rerun is one of the best sitcom characters of them all. A great stooge to go along with the studious Roj and the cowardly Dwayne. The mix made for a great series as the three got up to various hilarious schemes in and out of high school. Another show based on a Britcom, featuring two fabulous actors, one of them the legendary Redd Foxx. Although this show was uneven at best and was beset with many problems, the first three series are great, and the third season has probably the two greatest sitcom episodes ever made, which we'll get to on another page. Like Good Times, exposed America to jive talk and funkiness.